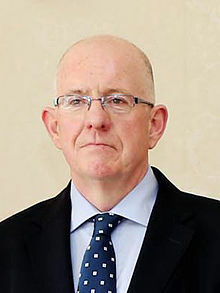 Justice Minister Charlie Flanagan has published legislation to repeal the offence of publication or utterance of blasphemous matter from Article 40 of the Constitution. Mr Flanagan said: “Successive reports, most recently, the Sixth Report of the Constitutional Convention, have recommended that the offence of blasphemy be removed from our Constitution. The minister also said hoped that debate around the referendum “will be conducted in a calm and inclusive manner” and that he does “not believe that this matter is especially controversial”.